Many scientists are concerned about global warming. Research shows that the worldwide increase in temperature is getting worse. Furthermore, global warming seems to be related to levels of pollution in the atmosphere. Discuss the causes of global warming and possible solutions to the problem. Our planet is gradually getting hotter, and there has been a significant increase in temperature in recent years due to pollution. The threat of global warming has raised concerns as it is continuously causing damaging the earth in the form of heat waves, resulting in melting of glaciers whose persistence is utterly important for mankind's survival. This essay will firstly discuss the reasons behind global warming and the solutions for this problem. First of all, usage of conventional fossil fuels in transportation and heavy industries has caused emission of harmful gases like carbon dioxide causing a green house effect which creates damage to the ozone layer. This has caused damage to invaluable layer which protects our planet from getting hotter. In addition, factories and thermal plants release huge amount of gases, polluting our environment and causing damaging effect to the worldwide weather. For instance, a recent study shows that 90 kilo tons of polluting gases are emitted worldwide which equivalent to 3 nuclear bombs and causes enough damage to planet earth. There are many solutions like planting of trees, use of non-conventional fuel and solar energy, which can significantly help to reduce global warming. Planting trees will improve the level of oxygen and will cause decrease in harmful gases as trees intake carbon dioxide as a major component in their food. Non conventional fuel like liquid hydrogen can be used to reduce pollution from heavy industries and transportation. Finally, solar energy has developed as a major source in generating electricity this can be used in many other domains to reduce the impact of air pollution. In conclusion, a big threat is facing us in the form of global warming. It is the responsibility of every person on earth to save our planet, mankind needs to wake up in case we want to make our future generations survive and present them the same planet in which we lived. 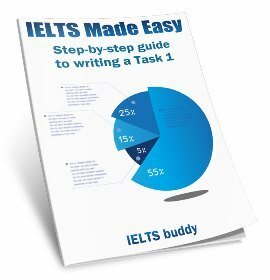 You can feedback below on the Global Warming Essay to help the student improve their IELTS score. This essay addresses all parts of the question. Ideas are fully developed with specific examples. 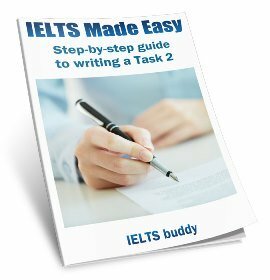 Causes and their solutions are integrated with each other which makes a whole essay coherent. 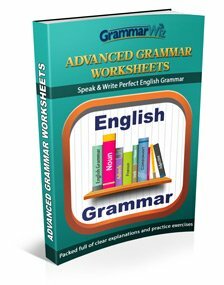 As far as grammar is concerned, you have used the complex structure in the causes part, but in solutions, complex sentences could have been used to some extent. Ideas are linked with each other, which can be seen clearly in both causes and solution paragraphs. Overall, it is an impressive written essay. Keep it up the good work. I appreciate your thoughts on the same and yes you are right that more complex structure could have been used in the solution part. Global Warming Essays - Very well written! It is a well-written essay. No doubt that the most common problem these days is the global warming. This such fact is coming due to several reasons, and as the scientific claimed global changes could be solved if the individuals and governments put their hands together. 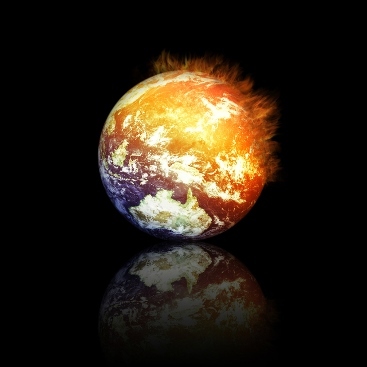 This essay will discuss the main causes and possible solutions of the global warming. To begin with, there are plenty of factors which result in the global warming in the last decade. First of all, human reliance’s on the fossil fuel such as coal produce tremendous amount of the carbon dioxide in atmosphere, so this toxic gas is collected around the earth, preventing the heat to escape. Another significant aspect is deforestation, which has become obvious among the industrial companies. The huge cutting of trees and clearing the habitat extremely do not support trees to absorb the Co2 emission from the cars and fossil fuel. As a consequence, there would be an increase volume of polluted gases in land and air. Lastly, this phenomenon highly raises because of two crucial points, and in order to reduce it, we should consider number of measures. On the other hand, governments and individual might eliminate the global warming in many ways. Firstly, it is seemed that local governments could change the legislation related- cutting trees so that they would avoid the colossal losses of woodland each year. Moreover, offering the different source of energy, which the normal people would use it in the daily basis, decreases the amount of Co2. Regarding to the individuals, they must also prevent using the natural fuels as kind of energy and rely on the petrol or solar instead. Furthermore, public transportation tends to be less contaminated than the private cars, eventually, this may really help in maintaining the environment healthy. In conclude, Global warming is considered to be a severe. Although there are many reasons which cause this issue like fossil fuel and deforestation, variety of tools could be used by government and people in order to cease it and make the planet better place to live in. Please give me feedback on my global warming essay. The essay is really good, but there are some grammar mistakes. The author should pay more attention to the usage of articles and prepositions. the content of this writing in terms of ideas is satisfactory. 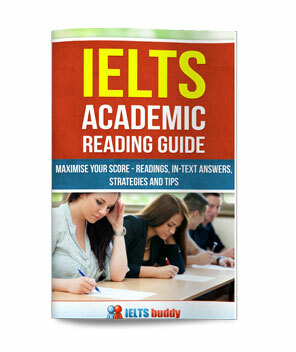 However, structure needs a lot of repair in regard of definite and indefinite articles, verb tenses and coherence. Vocabulary should be stronger and more varied in order to get high rating. Could you please give me an example of how I did mistakes in coherence because I am very sensitive for this ?. I really want to be perfect in coherence and cohesive . What do you mean by "it is really outermost" ? The essay written is very gud, I think this is going to benefit the students. What measures can governments and individuals take to tackle the issue? Global warming seems to be am irreversible trend as a consequence of social development. However, I believe there are several ways to reduce the impact of global warming in the world. to begin with, one of the main contributions to climate changes is the incautious use of fossil fuel, which leads to excessive greenhouse gas emission. Everyone should take part in reduction of the burning of fossil fuel by using public transport rather than private cars. If citizens could make an effort on saving electricity by using air conditioners less frequently, taking showers instead of baths or using energy saving electrics, less greenhouse gases will be emitted to the atmosphere. Besides reduction in consuming fuel, seeking energy alternatives is also crucial. More countries are turning to employ nuclear power as main energy supply because of its clearness. Other renewable energy, such as solar and tidal energy, are maturing in developing countries to replace the use of coal. With the advanced technologies, it is not difficult to change the global warming situation. In addition, the conservation of forests is important to maintain the sustainable ecosystem as the forests are responsible to absorb most of the carbon dioxide produced. However, human activities often lead to deforestation, the burning of tree by industrial means even releases more carbon dioxide into the atmosphere. Hence, by protecting the tropical forests, the temperature can be lowered world wide. Global warming is becoming a serious problem in the world. People should take consideration on these aspects to minimise the adverse effects it brings. Owing to industrialization, there has been a huge impact on earth's atmosphere over the recent years which leads to devastating consequences. Global warming is undoubtedly the most debatable issue, and world leaders showing concern in order to save the planet. Following are the causes of global warming and the potential remedies in this regard. Firstly, cause and effect is to be understood which consists of deforestation, green house effect, hole in ozone layer, increasing levels of hazardous gases in the earth's atmosphere. it is further associated with threatening effects which contribute towards global warming. Cutting down of forests for the building purposes is such a rife problem which is disturbing ecosystem. Pollution caused by industries leads to maintaining a thick layer of dangerous gases which is contributing towards rise in temperature of earth's surface. Third reason is the ozone layer depletion that is getting worse day by day, and thus allowing ultra-violet radiations coming down to this planet. Fourth reason might be the green house effect, that is the gradual rise in the earth's temperature due to pollution by vehicles and smoke as explained with the example of car whose glasses are covered and inside temperature is relatively higher than the outer actual temperature due to ozone layer binding the gases and not allowing to escape the heat to outer atmosphere and melting of ice glaciers taking place. Numerous researchers conducted experiments and found effects on earth and statistics reveal the further effects. Planting a number of trees is indispensable and most easiest way out as a remedy. Smoke and any sort of unsafe gas releasing by artificial means of human activity needs to be minimized. Battery cars should be replaced with the conventional fuels as transportation industry is the major contributor towards pollution. In addendum, governments should look for eco-friendly approaches such as solar energy to educate each individual in this regard. To recapitulate, in order to cope up with such a worldwide problem we need to unite with determination, however, it is a combined effort of nations. We should think of giving a beautiful planet to the upcoming generations. I like the ending. Vocabulary needs big time improvement. Reducing global environmental damage should be handled by governments rather than individuals. Humans as part of earths’ natural assets plays an essential role in the protection and control of environmental threats. Some people believe however, that individual participation alone is not enough to counter the massive distractions. I highly agree that governments shall take the appropriate role in reducing the damage of our ecosystem. This essay will highlight the reasons why I believe that government interventions on this issue will gained a positive result. Obviously, governments can play much more an active role in addressing the greater impact of environmental damages which resulted in depletion of natural resources. They have wider access in regulating companies to adhere environmental policies and to utilize innovative technologies such as garbage utilization. Garbage pollution for instance, has become a serious environmental problem in any country today that caused contamination of water and air pollution. Dumping sites keep increasing daily and the odor spread and caused air pollution in the surrounding areas. In this light, governments can explore various types of ways to minimize the adverse effects on this pollution to environment and the human beings. On the contrary, many people positively think that individual involvement can produce more in reducing the harmful effects to environment. Humans greatly contributed on the damages of the nature’s balance by continuously cutting trees and throwing rubbish on the streets thus our individual action towards environment protection has a huge impact. Unfortunately, environmental problem today is more difficult to tackle than before due to the nature of problem has changed. Individual ability is no longer enough to face the issues, for example, China dredging activity in West Philippines Sea where they are creating an artificial Island that caused an irreparable harm to environment. These activities represent a widespread damaged of corals ecosystems and it needs a geopolitical interventions to counter this global environmental threats. In summary, controlling the environmental damages in a global scale involves mass participation that a government can effectively lead. If these powerful influences of the governments were to be tapped, then a long-term measures will be enforced towards these environmental issues.